Defeat is always a tough situation to handle, particularly when one is not used to it. And in cases where success and unparalleled numbers have defined a career, the sight of your team facing an unexpected exit hurts even more. This was precisely what a heartbroken Sir Alex Ferguson had to face following United’s 2-1 loss to Sevilla during their second leg, which spelled their exit from Europe’s highest competition this season. The Red Devils expected a victory despite the goalless draw in Spain. However, what happened at Old Trafford on Tuesday night was arguable the side’s worst performance in a long time. While the sorry sights of players were captured well by panning cameras, it was Jose Mourinho fuming on the dugouts that was a match-defining sight. But if that wasn’t enough, United’s most iconic gaffer had more to show. 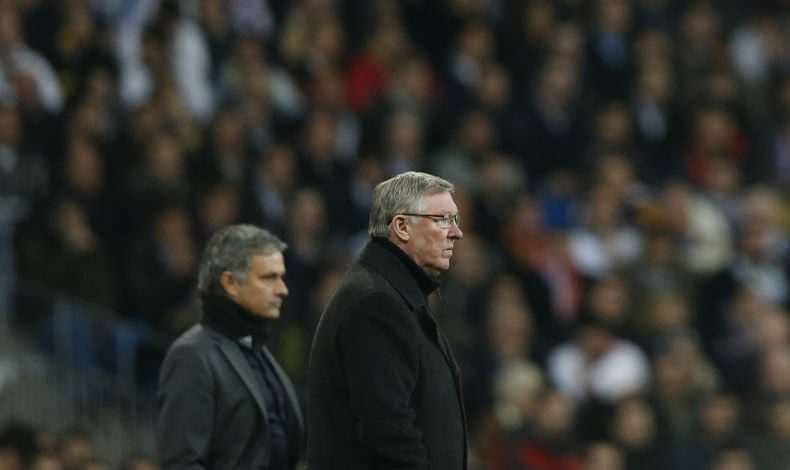 SAF was clearly in an unhappy mood following the defeat, and the sorry look says it all. Perhaps the home loss reminded him of his career’s last encounter with Champions League football, when another Spanish side, Real Madrid, eliminated the Mancunian giants. Back then, it was a poor decision on part of the referee that spelled the defeat. However, what happened this week simply cannot be excused, as United were looking in all sorts of trouble. The boos resounding around the stadium after the full-time whistle told the story well, and the rest was captured in the face of the legend.